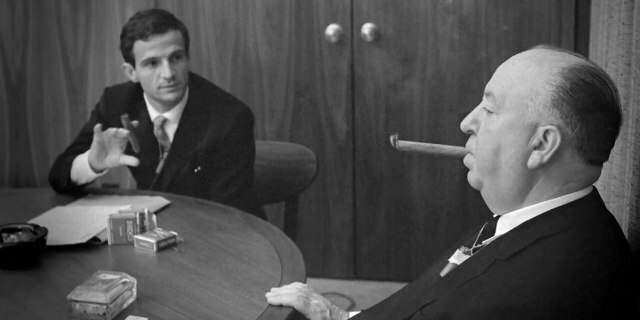 A look at Truffaut's famous book of interviews with the master of suspense. 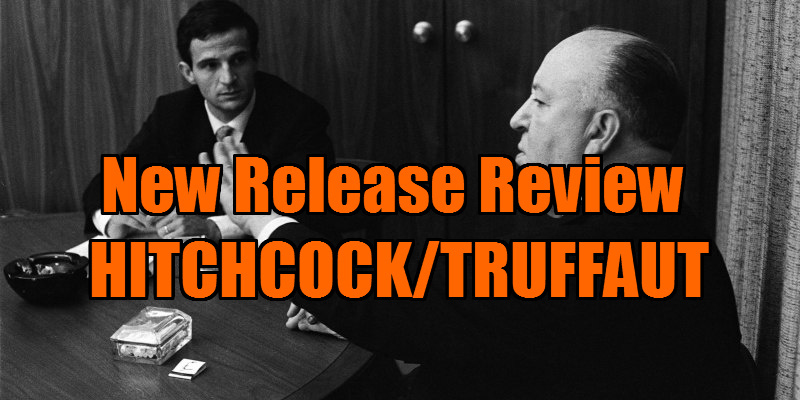 Hitchcock/Truffaut purports to give us an examination of the series of interviews French director/critic Francois Truffaut conducted with the master of suspense in 1962, and the resulting book. Yet after a brief introduction, Kent Jones' film morphs into yet another run of the mill Hitch doc, recounting anecdotes all too familiar to even the most casual of Hitchcock fans. Visit the cinema section of any good bookshop and you'll find an array of books exploring Alfred Hitchcock, some focusing on his films, many on the man himself. 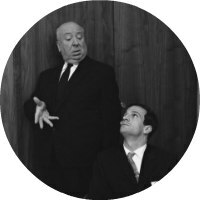 Equally revered as an entertainer and an artist, Hitchcock's life and work provide fuel for a variety of studies - there are books on Hitchcock as a visual storyteller par excellence, as a 'Catholic filmmaker', as a misogynist, and so on. The same goes for documentaries. It feels like every year there's a new doc on the subject, and at this point it seems there's little to add. Or is there? 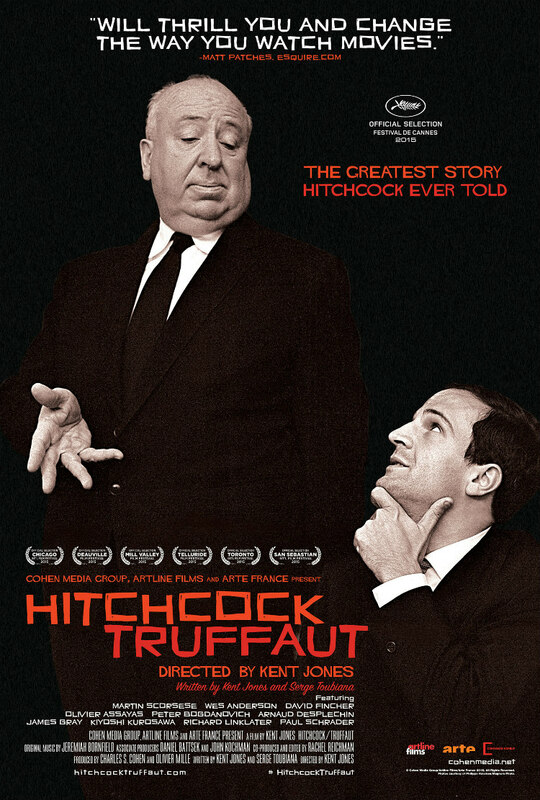 Hitchcock/Truffaut purports to give us something we haven't seen before - an examination of the series of interviews French director/critic Francois Truffaut conducted with the master of suspense in 1962, and the resulting book from which this doc takes its title. Yet after a brief introduction, Kent Jones' film morphs into yet another run of the mill Hitch doc, recounting anecdotes all too familiar to even the most casual of Hitchcock fans. 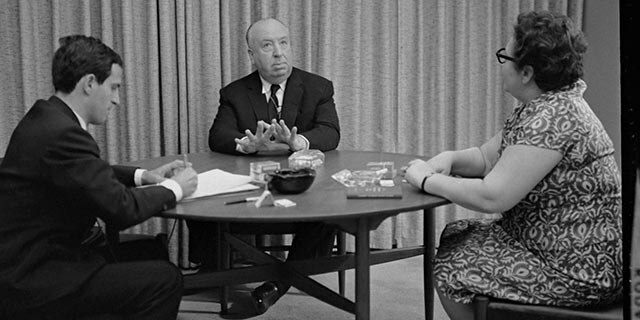 How many more times do we have to listen to the story of how Hitch found himself locked in a police cell as a child? Jones enlists the services of 10 filmmakers, some obviously influenced by Hitchcock - Martin Scorsese, Wes Anderson, David Fincher - some less so - Richard Linklater, James Gray, Arnaud Desplechin - and some who have written studies of the director in their secondary roles as critics - Peter Bogdanovich, Paul Schrader, Olivier Assayas. 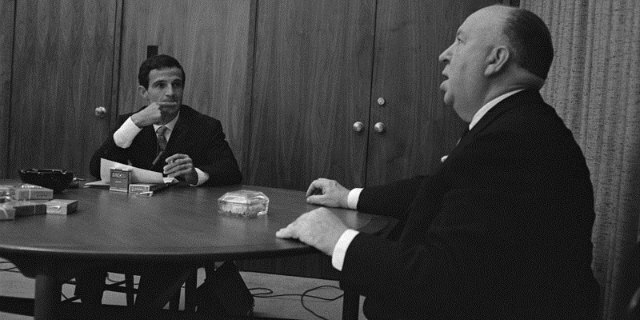 Scorsese and Fincher discuss their personal relations to Truffaut's book; the former speaking of how it felt like a great weight lifted from his shoulders to see a filmmaker dismissed by the American critical establishment as merely an entertainer finally receive his dues as an artist; the latter recounting with obvious affection how the book took pride of place in his cinephile father's library. But that's where discussion of the book ends, with the rest of the assembled filmmakers going off topic to discuss Hitchcock himself. This is all fine if you're relatively new to the world of Hitchcock, and any opportunity to watch the likes of Scorsese, Schrader and Bogdanovich talk movies should be grasped, but Jones has dropped the ball here. This should have been a movie about a meeting of two disparate artists bonded by a love of cinema that resulted in a watershed moment for film criticism; instead it's destined to be washed away in the tide with dozens of other docs on the subject of cinema's most revered figure.